Action Movie FX is a free iPhone app to create action movie scene on iPhone. This iPhone app lets you record a simple video and add the action movie effect to the video. After adding the effects, the simple video recorded looks as if you have created some action movie on your iPhone. 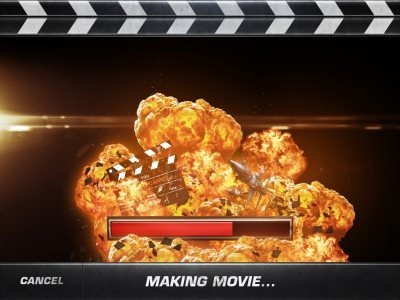 The free version of this iPhone app includes 4 action movie effects which makes your normal video into an action one. The app uses your iOS device camera to shoot a video and then add action effects to the video. It is all fun app in Apple App Store. The effects that you can add to videos include, Missile Attack, Car Smash, Demolition Rock, Tough Terrain. Action Movie FX is created by J.J. Abram’s company Bad Robot. Action Movie FX is the best app if you want to have fun by making someone realize that his/her vehicle or any other item is no more. It has been destroyed and here is the video shoot for the same. 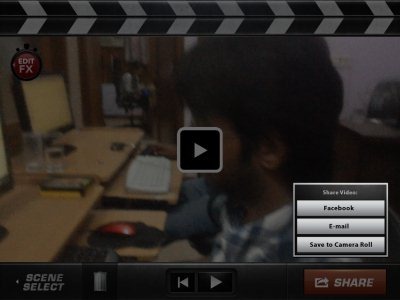 You can easily create action movie scene and then share the video through email. It is really a fun-filled app to make some freak out that he/she has lost his/her vehicle due to some sudden collision. Apart from sharing the video through email, you can also share the video on your social network i.e., Facebook. If you want to share the video later or make someone watch the created action movie on your iOS device itself, then you can save the created video to camera roll. The app provides many actions to insert in a video. Except first four actions, all actions are available as paid. The good part of this Action Movie FX app is that it adds reality to the video. The video recorded and the action embedded in the video looks as if it is a pure original video. It is not easy to claim the recorded video as fake video. Another good part of this iPhone Action Movie app is its simplicity. Embedding action in any video becomes simple with this smart app. Watch Action Movie FX Video which will make you understand the app in a better way. How To Use And Create Action Movie Scene On iPhone? Launch the app and then select the action which you want to insert in the video. Now wait for a while to let your iPhone or iPad camera get activated. As soon as your device camera gets activated, face the device camera to the target object which you want to record. Now tap on the record button at the right bottom and start the recording. Stop the recording and refine the FX position if required. Use pinch and zoom to refine the position. Tap on “ok” button and wait for a while to let the app create the final video. Now play and check the converted action video. You can then save and share the action movie video if required. Note: Remember that the video which you record should not be more than 5 seconds. Also, check out the post on Movie Trailers app for iPad reviewed by us. Record and create action movie videos. Record up to 5 seconds video to get the best action video. 4 different action available in the free version of the app. Refine FX position with pinch feature. Demo video to make you understand what the app does exactly. Real-time video recording and embedding action. Share the video via Facebook and email. Save video to camera roll on your iOS device. Watch action video in the app itself. 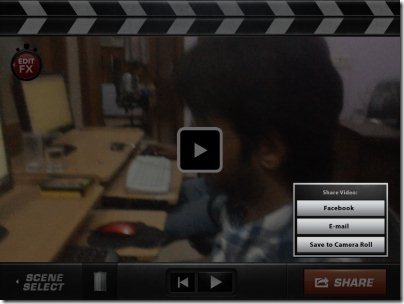 You can check out Movie Maker application for Facebook. Click here and start the download and installation of Action Movie FX from Apple App Store. 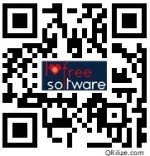 For direct download link, scan the QR Code below. 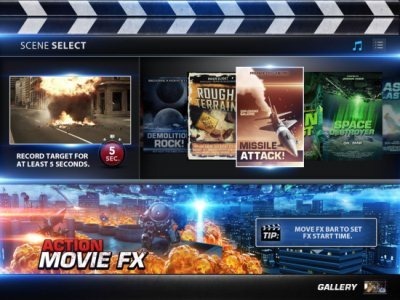 Action Movie FX makes your videos exciting one on your iPhone. Have fun with your friends and family showing them the tragedy in a normal video. Share your masterpiece on your social network and claim that you are profession movie maker.